Valentines day started out with a heart and message in soap on the mirror for Brian to see when he got up to study (I wrote it during the night on one of my pilgrimages to the bathroom). The next surprise hit Brian when he got to work. 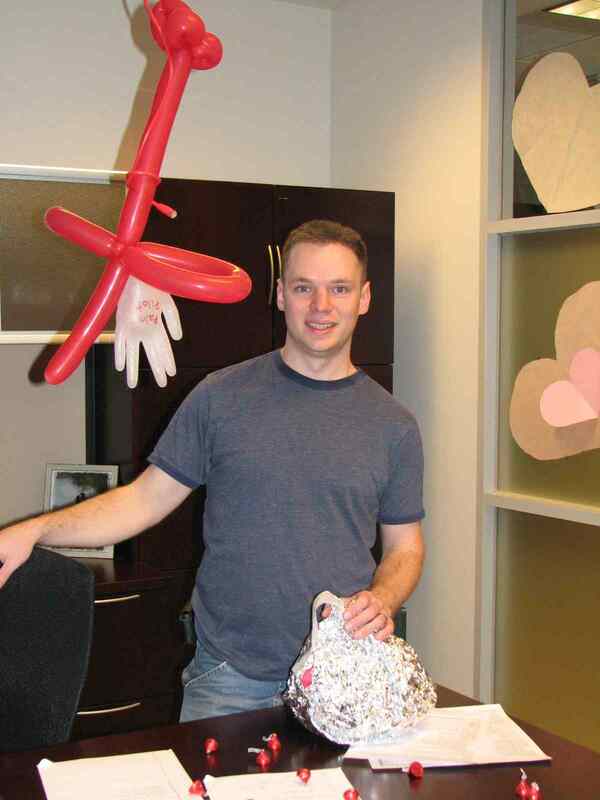 The day before I smuggled some decorations to one of his co-workers who put them up after Brian left work. 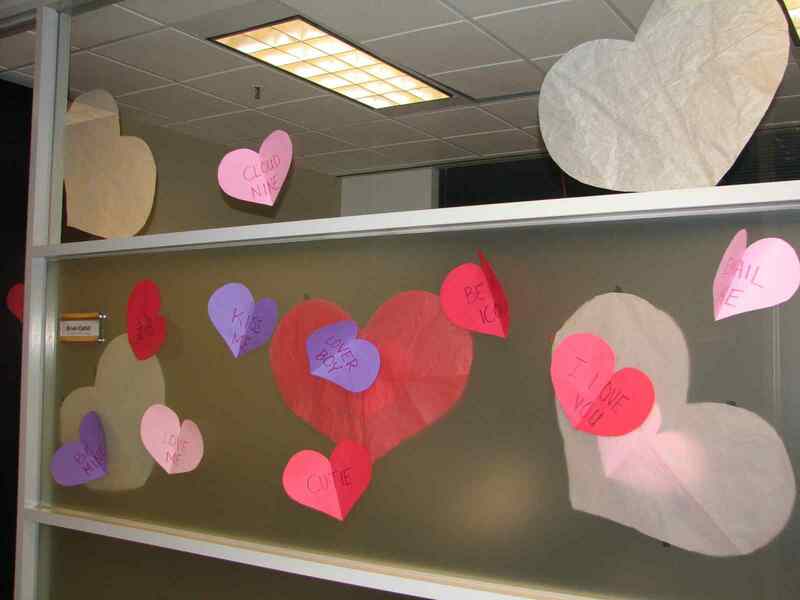 Apparently several of the staff got involved in the whole decorating scheme and had quite a bit of fun! 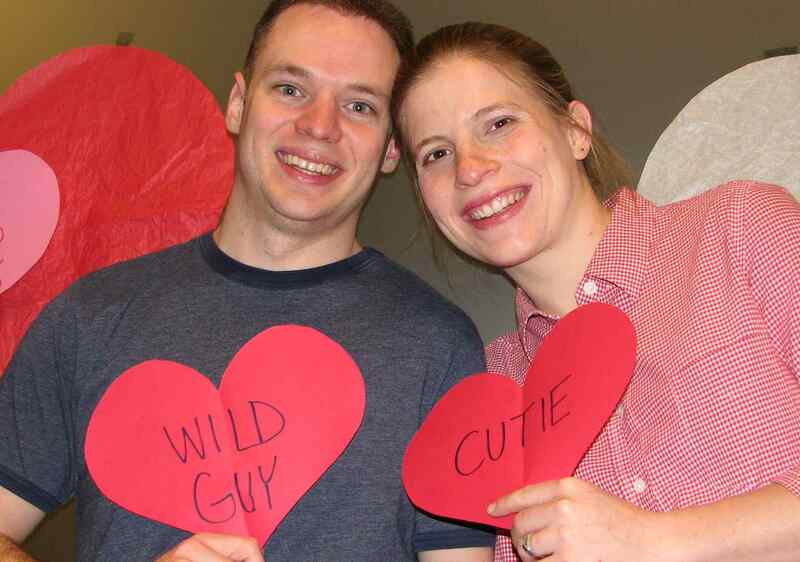 The airplane had a latex glove labeled “palm pilot” and the giant kiss had banana bread inside – Brian’s favorite! Some of the workers stopped by during the day and asked if it was his birthday or something. Brian told then it was Valentines, of course. Then they would ask how long Brian had been married. 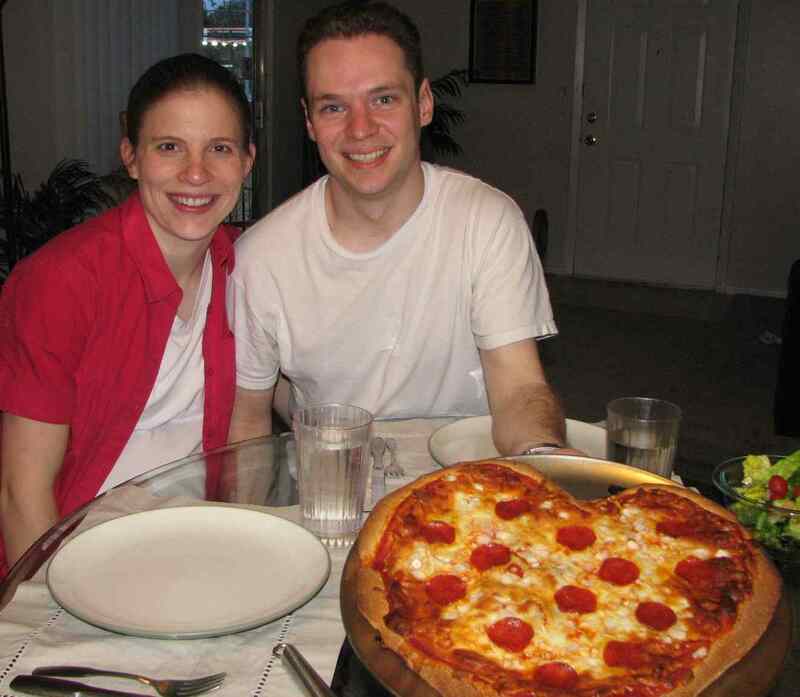 When Brian got home we went running/biking and had a heart shaped pizza for dinner. I also cut his hair. Brian then suggested we go clean up the office – so we took a late night run to the building, took pictures, and cleaned up. The we walked around outside, looking at the horses lit up for the night, and sat there in the gorgeous evening and enjoyed each others company. Finally we headed home – a great day!